Shiva is believed to have appeared in the form of Jyotirling. There are twelve Jyotirlinga Temples in India. The story of Jyotirling is associated with Brahma and Bhagvan Vishnu entering into an argument. Legend has it that Bhagwan Vishnu and Brahma Ji wanted to know who was superior and this led to a fight. Mahadev Shiva intervened and said whoever can find out the origin or end of Shivling is superior. 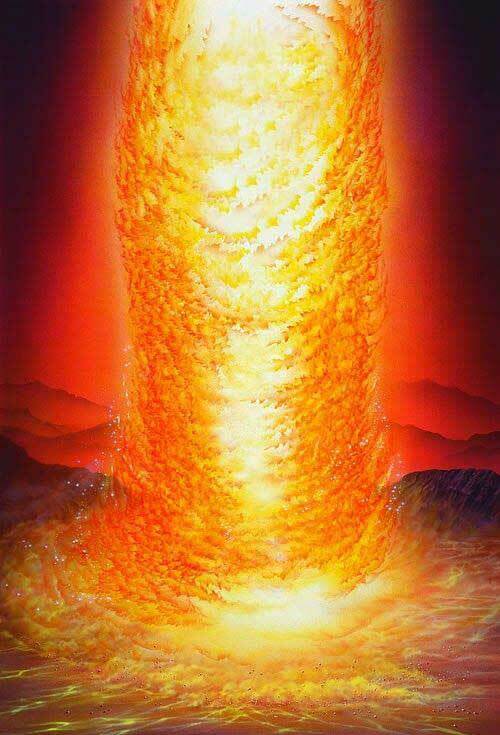 Shiva appeared before them in the form of a huge pillar of fire. This huge pillar of fire is referred as Jyotirlinga or lingodbhavamurti. This day of the appearance of Shiva in the Jyotirling form is celebrated as Shivratri. The story states Vishnu went down searching for the end of column of fire and Brahma went up searching. Both traveled and traveled but never reached the beginning or end. The story is symbolic and it suggests that the Supreme Truth as taught by Hinduism is present in all animate and inanimate. That divine light in Sun is present in all living beings on earth. Similarly, whatever is there in the Universe is part of the Single Supreme Source - There Is No Second. It is impossible to find a beginning and end to the Supreme Being until and unless the Supreme Being wishes to incarnate in a form which human eyes can accommodate. When God appears in a simple form, we doubt it. We raise all kinds of question. But when the form is beyond human imagination we worship it. Human mind is conditioned only for miracles and fear. We forget that the Supreme Truth can appear in any form. And not even a single atom can move without His will.